The Kenyan government has said it will not rescind its decision to switch off analogue transmission in favor of digital. Some Kenyans and main media houses disapprove. Almost 90 percent of Kenyan television viewers have been left with blank screens after the government switched from analogue transmission to digital. 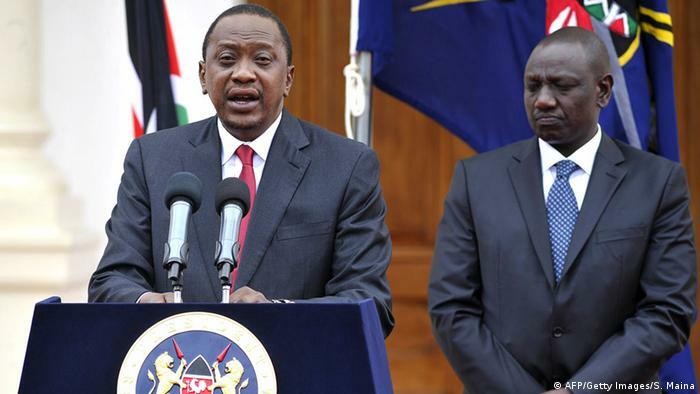 Owners of the country’s three main media houses: Nation Media Group (NTV), Standard Group (KTN) and Royal Media Services (Citizen TV) have accused President Uhuru Kenyatta’s government of forcibly shutting their services. They are asking the Communication Authority of Kenya (CA), to give them ample time so as to prepare for the digital switch. “We support digital migration, give us the license, give us frequencies, give us time,” Paul Muite, a lawyer of the three media houses said. According to the media houses, the move by the government to forcibly switch off their signals goes against freedom of the press. In a statement carried on Monday (16.02.2015), by the ‘Daily Nation’ – an online newspaper owned by Nation Media Group, the three leading news providers accused the government of coercing them into giving their signals to other providers. They said it [analogue switch off] was a ploy for them to surrender their signals to government-owned Signet and Chinese-owned Pan African Network Group (Pang). “The three media houses have been broadcasting on analogue platform and the dismantling of the equipment by the Communication Authority of Kenya in Limuru effectively switched off our transmission,” the statement said. 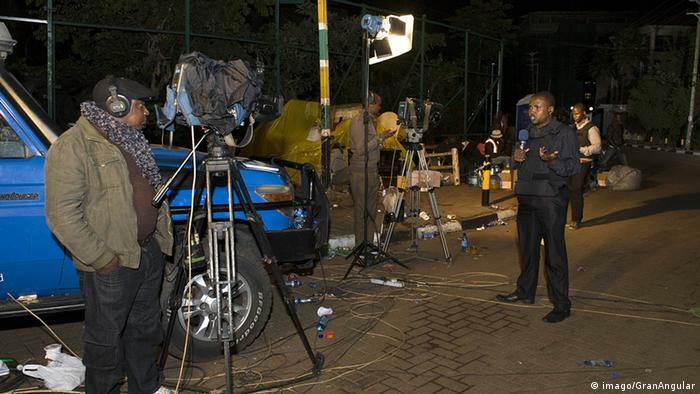 Officials from the Communications Authority of Kenya, accompanied by armed policemen on Saturday (14.02.2015) forced their way into the transmission stations which broadcasts programs for the three media houses in Limuru, dismantled and took away their equipment. The government maintains that it is determined to migrate from analogue to digital transmission. “We will not go back on digital migration,” Fred Matiangi, Kenya’s Information Cabinet Secretary told reporters on Sunday (15.02.2015). 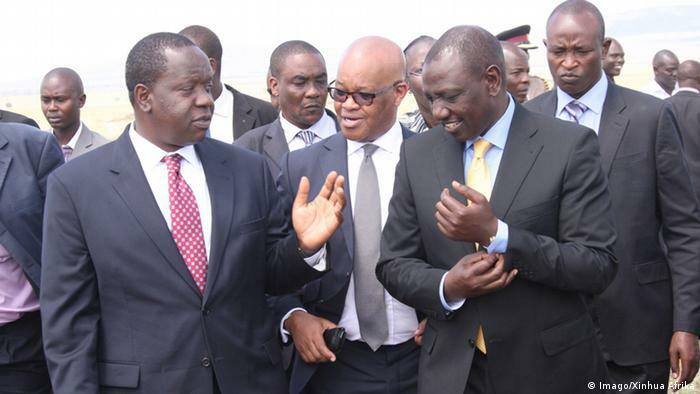 “The three media houses like all of us in Kenya are not above the law,” Matiangi said. He also warned that the communication authority would not be manipulated and called on the media houses to carry out their responsibility. The Kenya Union of Journalists (KUJ) has strongly criticized the switching off of stations broadcasting in analogue platform. KUJ said the switch to digital transmission could leave many journalists out of work. KUJ chairman Oscar Kwena Obonyo said more than 200 journalists had been affected by the government’s decision to switch off leading television channels of KTN, NTV, Citizen and QTV. “We are concerned that the government of President Uhuru Kenyatta has kept mum and declined to arbitrate in the matter even as it boils over,” Obonyo said in a statement to reporters.